The Minister of Social Development complained about the route for reporting on work done by SASSA. The Standing Committee on Public Accounts (SCOPA) was expecting SASSA to report to them and SASSA scarcely had time to meet with the Portfolio Committee. The Minister had already written to the Speaker about this concern. The Portfolio Committee Chairperson replied that due to recess and its oversight visits, the Portfolio Committee had not met with SASSA for a progress report for eleven weeks since 21 June. She agreed that it was an overreach of SCOPA’s mandate. The Chairperson decided to consult the legal unit at Parliament about this. The Minister said that the SASSA Executive had adopted the report of the ministerial workstreams – which workstreams had been cancelled after queries about their contract. The Minister expressed delight in that because she had always felt that the members of the workstreams had had expertise that the officials at SASSA did not have. She reminded the Committee that it was the previous Minister who had set up the advisory committee which later became the workstreams. The Minister noted that SASSA had signed an agreement with SAPO to deliver grant payments but she did not want to go into posible disadvantages of that. She was clear that the involvement of SAPO had been proposed by the ruling party some years previously at a conference and that she agreed with the Post Office working with SASSA but due diligence was required as SAPO was not a messiah. The Chairperson explained that there could be differences of opinion as to who was in charge of the 10-member panel of experts appointed to monitor the phasing out of the Cash Paymaster Services contract. She referred to a letter written to her by the Auditor-General which explained that the panel had to assess only in respect of the Constitutional Court order and would report directly to the Court together with the Auditor-General. The first evaluation report was due in September 2017 and its contents could not be shared with the Portfolio Committee. In response, the Minister said they would brief the Committee on the evaluation report on 14 September, a day after briefing the Inter-Ministerial Committee, before submitting it to the Constitutional Court. SASSA noted that a hybrid model would be in place to manage beneficiary payments between April 2018 and March 2021. The hybrid model was intended for SASSA to build capacity for 2021 when it would take over payment. Once the SAPO due diligence was completed, they would know how much of the work could be done by SAPO and SASSA would contract with other agencies, if it were necessary. However, SASSA would take care of some aspects of the grant payment system itself. The new card roll-out was scheduled for January 2018. A new card would be issued from which it would not be possible to deduct amounts for items such as funeral policies. Such deductions would be handled directly by SASSA. A contract had already been awarded for managing biometric data and they had consulted with the Reserve Bank about the new cards to be issued to beneficiaries. The system to replace Cash Paymaster Services (CPS) would first be tested on 27 October 2017 and all tests would be complete by end of January 2018. SASSA believed it was on track despite the delay in order to conduct due diligence on SAPO. if SASSA had done a scope of work, timelines and a plan of action for the panel of experts; about the experts demand to be paid R2 700 per hour as a “reasonable” fee instead of the R1 500 per hour suggested by SASSA. The Committee complained that it did not know what the experts were doing and they did not know what the workstreams had done. There was repeated concern about the biometrics and beneficiary data. It was observed that the Court had talked of CPS as being part of the Department in performing its function so the database was an asset of DSD. The Chairperson suggested that questions about the panel of experts, such as payment, scope of work hours worked, could be held over until the meeting with the Auditor-General. 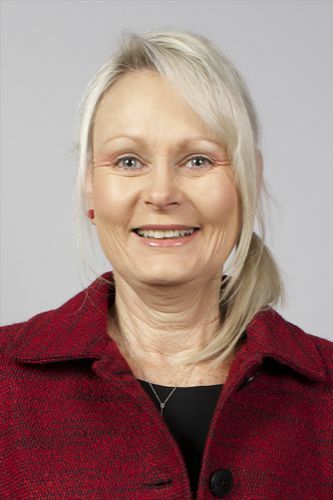 The Chairperson also expressed concern that the Deputy Minister never appeared before the Committee, although she had been seen doing other events. The Chairperson was concerned that the Deputy Minister never appeared before the Committee. She might be ill but the Committee was concerned that it had gone on too long and she had been seen doing other things. She might be doing the work of the Department but she never bothered to appear before the Committee to account. The Chairperson wanted an explanation on the matter. On its last oversight visit, the Committee had needed her assistance but she was not there. The Deputy Minister always sent an official from her office but they did not need an official, they needed the Deputy Minister. The Committee was also concerned that she had duties allocated to her as a Deputy Minister which the Committee believed that she was neglecting. Why was it necessary for the official from her office to attend meetings and oversight visits as the official did not contribute anything, which then also became a question of budget? The Chairperson had not seen evidence of that official liaising with the Minister in order for the Deputy Minister’s work to be presented to the Committee. The Chairperson noted the very important presentation of the South African Social Security Agency. SASSA was for development and empowerment of the people. SASSA was led by the Department of Social Development (DSD) which would be able to respond when the Committee asked questions of SASSA, as it was expected that DSD was involved with SASSA in a hands-on way. If SASSA did not do well, the accountability ultimately lay with DSD. She asked the Minister to make a few introductory remarks as it was some time since the Minister, Department and the Committee had met. Minister Bathabile Dlamini introduced Ms Pearl Benghu who was the Acting CEO of SASSA. Ms Benghu had reported to the Minister on the progress made so far by SASSA. The Minister had raised her concerns with the Speaker of the National Assembly about the correct route for reporting on the work done by SASSA and was awaiting a response from the Speaker. She was concerned about not reporting to the Portfolio Committee as it was the role of the Portfolio Committee to do oversight work. They had reported twice to the Standing Committee on Public Accounts and then she had remembered that they had to squeeze in the report to the Portfolio Committee before they reported to the Court as the Portfolio Committee knew the matters and could contribute. SASSA could then present a properly discussed report to the Court. SASSA would report on what had happened to the Portfolio Committee but it took them back as they already were preparing for the next report to the Constitutional Court. They had had meetings with the panel of experts appointed by ConCourt to look into the work that SASSA was doing. SASSA had also been trying to sort out issues with National Treasury. The reports of the workstreams had been presented to the Inter-Ministerial Committee. The SASSA Executive had adopted the reports, which was very important, as the work done by the workstreams could not have been done by the officials at SASSA. The panel of experts, appointed by ConCourt, was worried about the implementation of some of the work that SASSA was doing because it required experts and SASSA did not have the right expertise. The Minister wanted to remind the Committee that when the Minister joined DSD, work had already been done by specialists for Minister Molewa. 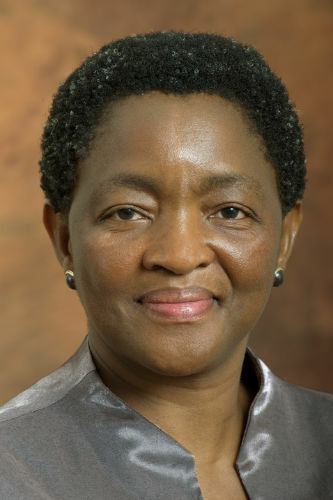 Minister Dlamini had not personally just come up with the advisory committee. A process had been followed. They also had information from those experts about the South African Post Office (SAPO). The Minister noted that the ruling party had determined that SASSA had to work with SAPO. A month ago, SASSA had signed some agreement with SAPO and they were going to pay R60 million for them to deliver. She did not want to go into the disadvantages of that. She would go into that issue on another day. When it came to a Request for Proposals (RFP), SASSA had thought that SAPO could get priority and SAPO had responded that it could do the work. However, after that SAPO response, SASSA had had to undertake due diligence of SAPO. Many companies had tendered to do the due diligence but SASSA thought that a government institution would be cheaper so the CSIR had been given the tender. The CSIR had started with the due diligence. Although the Committee had been told that SASSA had already done due diligence on SAPO, it had not. The Inter-Ministerial Committee informing SASSA to do an external due diligence was not about IMC’s reluctance to work with SAPO, but it was because the IMC understood the nature of the work that SASSA was doing and it had to know that SAPO really had what was required to do the grant payments. It had nothing to do with them not wanting to work with the Post Office. The Post Office was not a messiah that could just come in. There were processes that had to be followed. After the due diligence report, the Committee should call SAPO in to report and to respond to the points raised from the due diligence. It would be unfair for SASSA or DSD to have to report to the Committee on SAPO. Committees should not be asking SASSA about SAPO – they should address those questions to SAPO itself. She felt that SASSA was being unfairly treated in that regard. They had tried to clean their house. She was doing her best and was not confused. And she wanted to tell whoever that the grant payments were important. People should work with them but should not cause confusion with the officials. She could see that they were gravitating towards that. In its meetings with the Standing Committee on Public Accounts (SCOPA), SASSA was compromised in that SASSA officials were asked to disclose very confidential things, which was unfair and was compromising. So, she was raising the matter in the Committee so that they could all be in the same space. As it had been political input, the Chairperson thought that she ought to take discussion on the issues raised. The Chairperson welcomed Ms Abrahams back from her injury and Ms Sonti from her lengthy illness. Ms B Masango (DA) welcomed the Acting CEO and thanked the Minister for her input as she had touched on matters that had concerned the Committee. The then CEO, Mr Magwaza, had promised the Committee the first bite at the report before it went to the Constitutional Court but the Committee had not seen the report before it was presented to Court and that process was taking the Committee backwards. Instead of meeting with the Portfolio Committee, officials had attended a meeting with the panel of experts. Only one official had met with the Portfolio Committee and had presented a one page report. She wanted to know why that had been allowed to happen. She was pleased that the workstreams report had been adopted by the Executive of SASSA. She had asked that it be tabled in the Committee but it was not available at the time and the Minister had undertaken to come back to the Committee to report. The Committee had never seen workstreams report. She asked if it was a close-out report as the work had ended and those experts were no longer working with SASSA. She would therefore like clarity on the workstreams and the report which was partly a report and partly a close-out report. Ms Masango noted that the Minister was saying that there was always a desire to work with SAPO. The Committee had not met with SASSA as frequently as it would have liked, especially at the time when SASSA was reporting to ConCourt in June to ensure all systems are go for the institutionalisation of the grant payments on 31 March 2018. When they had last met in March, SASSA was going to have a workshop with SAPO the following day to get a sense of what SAPO could or could not do. SASSA was then going to go on an open tender for the work that SAPO could not do. She asked for a progress report to ensure that everything was ready when it came to the time to part ways with CPS. The Chairperson agreed that the Committee and SASSA had not met as often as they should as a result of the parliamentary work that they had had to do. There had been oversight visits and the long recess which had created a gap in the information. Ms Masango’s request for a progress report went to the detail that was actually in the SASSA presentation. The Chairperson said that everyone in the Committee was concerned about what had been happening in the interim so she was going to ask SASSA to focus on the present and the way forward. The Minister would respond to any points that she thought belonged to her. Ms B Abrahams (ANC) thanked the Minister for reporting on the adoption of the workstream report by the Executive. She looked forward to the reports by the workstreams as the Minister had done very well in that regard. It was necessary to understand that there was a lot of work to be done in Parliament and she appreciated that the Minister was part of the programme. She congratulated the Minister and expressed appreciation for her attendance at the Committee meeting. The Chairperson told Ms Masango that the Minister had done well but would take up the matter concerning the over-reach by SCOPA into the Social Development Portfolio Committee space. The Committee had approached the legal unit of Parliament to brief the Committee on the role of SCOPA versus the role of the Committee. SCOPA should only come in when findings had been made by the Auditor-General. It was disappointing. It was a political management situation that she as the leader had to take up. The Committee had wanted to meet with SASSA officials when the Portfolio Committee had been on the KwaZulu-Natal oversight visit and had invited SCOPA to join them on the oversight visit but SCOPA had not wanted to meet there. The Portfolio Committee had allowed the officials to go to SCOPA. The Chairperson was not happy as the schedule for SCOPA could not be prioritised over the Committee matters. The political organisations expected reports from the Members deployed to this Committee, but the SASSA officials had not been able to say to SCOPA that they could not attend the meeting that day. SASSA went to the expense of flying two new bosses despite the fact that the Portfolio Committee had set a day aside to meet with them. The Chairperson had written a letter to the Auditor-General enquiring about the work that the Auditor-General and the panel of experts were doing as the Committee wanted a meeting and a report on the matter. The Auditor-General had said that they could not meet with the Committee because the report had to go to ConCourt before the Committee could be informed of its contents. She informed Members that they would pick up on remuneration in the SASSA report. The ConCourt had stated that the remuneration of the experts had to be reasonable. What was reasonable? What was it compared to and what work were they doing? She had met with the Auditor-General but it was not a successful meeting. The Chairperson believed that the Auditor-General had to come to the legally constituted platform of the Portfolio Committee and explain what was in the letter. She had also contacted the legal unit of Parliament to be part of that meeting. SASSA could not determine “reasonability”. Also the Auditor-General and the panel of experts were monitoring and reporting to ConCourt only. The panel of experts was not reporting to the Committee but to the Auditor-General. The law had to come in and resolve the confusion. The Concourt judgement had ruled that the Auditor-General was going to do the work but after the ruling it was discovered that they needed experts to actually manage the work. The Office of the Auditor-General only knows about finance and yet it was supposed to monitor programmes. Now there was a question of how much the experts should be paid. The Chairperson had informed the Committee about this confusion. She noted that she had always taken the Committee Members into her confidence and had shared with them what she as the Chairperson was doing. The Chairperson appreciated that the Minister saw that she had to intervene as the officials were expected to report to two Committees. Which Committee had to be marginalised and which should be prioritised? The Minister commented that statements made by some of the Members were pre-empting the report. If they wanted a report from the workstreams, they should be called to the Inter-Ministerial Committee (MinMEC) to get a report. Terminating the work of the workstreams was throwing away government money. Two critical workstreams had not yet started their work: Human Resources had to show what SASSA needed in order to do their work. Communications was another workstream that was needed so that South Africans could be taken through the process and would not have to listen to assumptions made by people who were not in the administration. They needed really strong communication about the whole matter. Ms Pearl Benghu, Acting SASSA CEO, pointed out that the South African Social Security Agency Act (2004) mandated SASSA to be the sole agent to manage, administer and pay social assistance. SASSA was currently outsourcing all components of the payment process. SASSA would move into a transition phase from April 2018 to March 2021 during which they would take a hybrid approach with a mixture of insourced and outsourced services. The plan was that from April 2021, there would be in-house processing of payments by SASSA. SASSA had decided on a hybrid payment model in which they would take responsibility for those functions that they could manage. They were engaging in open contracts for the other processes. She pointed out that they needed a good change management process. Direct transfers would be made to beneficiaries from a SASSA social grants bank account to manage interest and to track how much was paid out each month. The biometric identification would apply to both officials and beneficiaries. SAPO had confirmed its readiness and capabilities to offer the full payment value chain. SASSA supported possible collaboration with SAPO, subject to compliance with procurement policies and the due diligence being conducted. If there were no problems, approval would take place on 13 September 2017. A new card would be issued from which it would not be possible to deduct amounts for items such as funeral policies. The new card roll-out was scheduled for January 2018. The hybrid model was intended for SASSA to build capacity for the future when it would take over payment schedules. SASSA would be working in collaboration with a number of government departments, especially the Department of Home Affairs in respect of confirmation of identity, biometric data and a card bureau for SASSA payment cards. SASSA would need more funding to manage the process from April 2018 but they could not provide figures until the procurement process had been completed. SASSA had determined the risks in the process and had determined mitigation action to manage those risks. The Chairperson noted that the report had been very detailed. She suggested that questions be asked in sequence. Ms E Wilson (DA) said that the contract had already been awarded for the biometric system. She asked who had been awarded the contract, when had it been awarded and for how long. She queried the issue of deductions from 2017 and whether that process was still under negotiation. She asked about the beneficiary data which CPS had in its possession and asked why it had not yet been availed to SASSA and what follow-up measures had been taken to obtain the data. The biometric system was not in use. Why not? Ms Abrahams asked what SCOPA sought to achieve by meeting on the day before SASSA had to file its report to ConCourt. She congratulated SASSA on taking full responsibility for deductions and for the intention to build capacity internally to take over responsibilities for payment over time. She complimented SASSA on taking full responsibility for funeral deductions. How was SASSA going to get the EasyPay Everywhere green cards out of the system as they were being used for loans? Beneficiaries were happy to receive the loan but when you spoke to them they felt they had been cheated and were very unhappy. She wanted to receive communication when the cards were phased out and when beneficiaries would receive new cards. Members needed to know when notifications applicable to beneficiaries went out. Ms C Dudley (ACDP) asked when SASSA estimated that they would be handing out the new cards so that the Committee’s constituents could be informed. She asked that the Committee be alerted when there was a major announcement. Dr C Madlopha (ANC) thanked the Minister for her opening remarks and welcomed the new CEO, complimenting her on her presentation and the fact that SASSA would handle the deductions. She referred to the need for experts to monitor on behalf of ConCourt. What was the final resolution about the payment of the experts as there had originally been no budget at all for experts. She asked if the amount requested was in line with the revised budget. She asked if SASSA was not going to be paying more for the experts when they had already paid the workstreams to do the work. She referred to the letter from the Auditor-General which raised great concerns as the panel of experts would report not to the Committee but directly to ConCourt and it looked like the Committee’s powers were rigged. In order to get clarity on the matter, she suggested getting the Auditor-General, National Treasury and SCOPA to discuss the situation with the Committee. There was no difference between the work of the panel of experts and that of the workstreams. They could not reverse the work that had been done by the workstreams as they had been paid by government; and so the Auditor-General, Treasury and SCOPA could assist them in the comparison of the financials. She requested the report presented by the workstreams. She asked for a legal opinion on the Auditor-General’s letter so that they could understand how to take the work forward. Had SASSA or DSD had done a scope of work, timelines and a plan of action for the panel of experts? The panel was already in the field, so what agreement were they working on? The PFMA could not pay them if there was no agreement, as that was contrary to the law. Dr Madlopha wanted to check on the new cards. SASSA had said that they were working with the Reserve Bank. She also suggested that the Committee met with SAPO to ensure it had the necessary capacity. The Committee was saying that CPS had to be phased out and that government had to be used but it needed to check that SAPO had capacity to do the work. She was pleased to hear from the Minister herself that SASSA actually did want to work with SAPO, despite all the talk that the Minister had not wanted to work with SAPO. She asked about the availability of the biometric data. Why was there a delay in transferring the data? Was it a question of disagreeing about the structure and ownership? When would they get clarity on the ownership of the data? The Chairperson reminded the Committee that it had wanted to call SAPO to a meeting but once SAPO had applied for the contract, the Committee had postponed the meeting as they did not want to show preference for one bidder. Now that matters were resolved, the Committee would call SAPO. SCOPA had asked questions about SAPO in its meeting with SASSA so there would be no crime in the Committee inviting SAPO. The Committee also wanted to know what capacity the Reserve Bank could provide to SAPO. She had been informed that the Reserve Bank had made a presentation in her absence. The Chairperson noted that there seemed to be differences of opinion as to who was in charge of the monitoring. Who had given the directions that there had to be monitors and experts? The ConCourt judgement had given the scope of work. SASSA could not be in charge of the experts as they were monitoring SASSA. She referred to a letter written by the Auditor-General. The Court had appointed the Auditor-General and ten independent legal and technical experts to monitor and evaluate SASSA’s compliance with the Court Order, including steps for competitive bidding and a determination of the steps taken by SASSA to appoint a new contractor. Quarterly reports from the Auditor-General and panel of experts had to be sent directly to ConCourt. SASSA had to pay the fee responsible to the panel of experts. The reports by the Auditor-General and the panel of experts did not constitute an audit and should not adhere to institutionalised frameworks. The Committee had to remember that the reports to ConCourt were not according to any existing framework within which the Committee worked as the format was imposed by ConCourt. The panel of experts had to assess only in respect of the ConCourt order and would report directly to the court together with the Auditor-General. The first evaluation report was due in September 2017 and the content thereof could not be shared but the Auditor-General would be willing to brief the Committee on the work of the panel as well as the financial implications. Alternatively, he would be pleased to send the information in writing. The briefing had been set for 27 August 2017 but the Chairperson had cancelled the meeting with the Auditor-General as she had wanted to check with the Committee about whether she should call the Auditor-General. She had had a telephone conversation because her concern was that although the Portfolio Committee was responsible for SASSA, the report was not going to them but to Court and they did not know whether SASSA was complying and preparing for the changeover. The Chairperson was worried, however, that SCOPA was in violation of the court order. SCOPA wanted to meet with the panel the day before they reported to ConCourt and SCOPA was open to the public. She failed to see the legality of the meeting with SCOPA. She was also worried that the experts who were demanding to be paid R2 700 per hour, might be doing the work that had already be done by the workstreams. The Committee did not know what the experts were doing and they did not know what the workstreams had done. There was no history for this and so she was sure that people would be misinterpreting the work of SASSA. She was also concerned that instead of teaching people to fish, they were simply paying out money which would have to be increased as the population grew. She thought that they should review the current SASSA Act and try and amend it but not to write a new Act. The job of the Committee was to support SASSA and the Department of Social Development. The Minister informed the Committee that on the 13 September 2017 they were going to brief the Inter-Ministerial Committee on the September ConCourt report. They would like to give a briefing on the ConCourt report to the Portfolio Committee on the morning of 14 September. Anyone who wanted to know anything about it, should attend that Portfolio Committee meeting. She said that there was nothing that said she could not report to the Committee as it was the Committee that would have to get the money to pay the experts. The big issue was that DSD was viewed as a structure that simply had to distribute money. People entered Social Development through welfare services but sometimes they needed social security and the grant, but there were also other services that grounded them in the community. Social Development was not there only to pay out money so people could make some purchases and next month get more money to make more purchases. DSD had to do work that strengthened families, so even the grant found expression within the communities and was used to strengthen families. Other government services provided to families should be strengthened by DSD. They would look at that in the posts for the Department of Social Development. The Chairperson asked Ms Wilson to repeat her questions about biometrics and beneficiary data. The Minister explained that biometric data could be divided into two. CSIR had done some work on biometric data that the Department wanted to use in order to enrol and identify beneficiaries. The second matter was the beneficiary data which they had been transferring to Home Affairs. The CEO or CFO could explain the challenge that DSD was having in transferring money from one bank to another in the light of the Financial Intelligence Centre Act (FICA). SASSA had written to Grindrod to stop issuing the green card as there had never been no agreement for it to issue the green card. Beneficiaries who used the green card had to withdraw funds from specific ATMs that deducted money to pay loans. SASSA had said that they had no knowledge of the green cards. However, SASSA had learnt a lesson about not owning its own data and about re-visiting the contract to address this. SASSA CFO, Mr Tsakeriwa Chauke, explained that SASSA had awarded the biometric data contract to Prosense Technology (Pty) Ltd in the amount of R99 million for a period of three years. As per FICA, one could not move money from one bank account into another account without producing biometric data. This meant that it was not so simple to transfer beneficiary information from bank to another. SASSA Chief Information Officer, Mr Abraham Mahlangu, explained that the data was broken into different sectors. One was the pure query data that came through the call centre, the function of which had been outsourced together with the function of the payment of grants. As far as the queries handled by CPS were concerned, SASSA had only needed, and had got, statistical data, i.e. the number of queries made and the number of queries resolved. The details had gone to the grant administration which was the function that had been outsourced. That particular customer interaction would be in-sourced and therefore the historical data would be transferred back to SASSA. Part of that data was being contested because when a beneficiary became a private client of a bank, SASSA was not entitled to access that data. However, it became quite important to banks to quantify the customers and to create specific banking products. Following the Protection of Personal Information (POPI) Act, there should be more control of personal biometric data and the intention was that it should belong to the owner, i.e. the individual person and to no one else. At the back of the SASSA card was a call centre number for CPS. The new cards would not have that number and so beneficiaries would not phone CPS. Consequently, CPS would not get data from beneficiaries. Over time SASSA would not need the historical data because it would have been updated with new data. SASSA Acting CEO, Ms Benghu, said that SASSA was still in negotiations about Regulation 26(a) which dealt with direct deductions from grants. They had already asked Treasury to get into the transversal contract which was used for all departments and entities. Treasury had wanted more information from SASSA. SASSA was hoping to test the system on 27 October 2017. She noted that SCOPA wanted to visit the SASSA offices in Pretoria on 14 September. She admitted that SASSA definitely needed change management. As regards social media, the Communications Unit had been asked to deal with the messages about the green cards and the beneficiary cards and they would forward any future announcements to the Chairperson. As far as replacing beneficiary cards was concerned, SASSA had previous experience and knew that it could take a lengthy period as they were talking about 10 million cards. When they had done re-registration in 2013, it had taken far longer than had been anticipated. So SASSA had talked to the Reserve Bank about it in order to mitigate the risk. It would take at least three months or over three months to issue the cards, depending on the efficiency of the service provider. She explained to Dr Madlopha that the difference in the experts consultancy fee of R1 500 and R2 700 per hour meant that SASSA could not afford it on its budget of R1.3 million. However, Treasury had budgeted R5.3 million for SASSA, which would fully cover the expenses of the panel of experts. Workstream reports would be packaged and distributed to everyone. SASSA had a contract with SAPO that was worth R60 million, as had already been mentioned by the Minister. The Minister explained that in the hybrid model they had believed that the banks would issue the cards but they had since found out that all commercial banks had issued only 2.1 million cards in a year and they needed to issue ten million cards in three months, so they had gone to Reserve Bank to fast track the process. That was why it had been identified as a risk. Ms Wilson asked who was on the Inter-Ministerial Committee. The cost of the experts was a concern as the Minister had budgeted R1.3 million but it was going to cost R3.5 million. The word “reasonable” made it difficult to determine exactly how much to pay the experts. Defining “reasonable fee” was not easy. The Committee did not know what they were comparing the experts to because the Committee did not know what work they were doing. However, the Minister could not just take the experts at their word and believe that they were worth what they had told her. Ms Wilson’s concern was that the panel had already had three meetings. About the green cards, complaints had been received from Aliwal North beneficiaries who had green cards and had said that their grants had been stopped because they were using green cards. The complaint came from a whole community. What should they be told? What was the situation? Ms Masango followed up on the Workstream Report adopted by the Executive. The Minister had said SASSA had to have workstreams. Did it mean that the same workstreams that had been cancelled had been re-instated or were they were working outside of contract? What was their status? Referring to the Court Order that an independent verification of CPS was to be done at the end of the contract, she did not understand the point and why it was not cost effective to do it at the moment. Ms van der Merwe wanted to know what the process would be for issuing cards. Ms H Malgas (ANC), noting that the agreement had not yet been signed, asked how many hours the panel had already worked. On the beneficiary database, she observed that the Court had talked of CPS as being part of the Department. That database was an asset of DSD and SASSA and there had been talk of the CPS selling the data so it was important to hear about the changes. She wanted to hear from the horse’s mouth what was happening. Ms Sonti suggested that DSD should make other plans for the beneficiaries to get their benefits. Could they not extend the days on which beneficiaries had to collect grants? On the first and second of the month, the queues were too long and people were getting robbed. Could they not have extra days? The Chairperson suggested that questions about the panel of experts, such as payment, scope of work hours worked, could be held over until the meeting with the Auditor-General. The green card belonged to Net1 which had offices next to SASSA offices. The cards were loaded with a R1000 loan but the beneficiaries who chose to get the green card did not understand that the R1,000 was a loan. The Net1 ATM deducted everything that was owed to Net 1. The beneficiaries had to be educated. The CEO gave the names of the members of the Inter-Ministerial Committee. Its chairperson was the President and Departments represented by their Ministers were DSD, Health, Transport, Telecoms and Postal Services, Communications, Small Business, Labour, Home Affairs, Monitoring and Evaluation, Finance and Science and Technology. The Minister pointed out that questions had been raised about remuneration not about the credentials of the panel of experts as the experts were well known. She was not casting doubt on the Members’ concern. The Chairperson said that the judge had determined the names from a master list. The Minister told the Committee that the beneficiaries had to go to the pension centres. Beneficiaries themselves left their cards with the loan sharks. An old person was paid in the first month after his or her death but the family could not get the money as the loan shark had the card. The last day for collecting payments every month was the 16th. KwaZulu-Natal had stretched the days as the number of beneficiaries was enormous. It was a provincial decision until which date they paid out. SASSA was not a bank but it was about social rights. Ms Sonti agreed that beneficiaries all pushed to go at the same time so she wondered whether they knew that they had sixteen days. People who slept outside the pay-out centres the night before were quite happy to sleep there all night. The Chairperson stated that the Committee had planned to have a presentation on the SASSA and DSD Human Capital Report and the Committee needed to decide whether to postpone it to the following week. 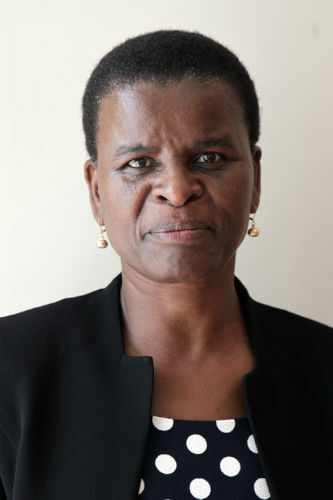 Ms V Mogotsi (ANC) proposed that the Human Capital Report be held over until the next meeting. The Committee adopted the minutes of its meetings from 19 October 2016 to 19 May 2017. Ms Tsoleli asked if the Committee could get the minutes for each meeting at the following meeting. The Chairperson stated that it was an anomaly to defer so many minutes. He asked Members to be very careful not to include someone as attending a meeting who had not attended. The Committee Reports on its Oversight Visits to Free State and KwaZulu-Natal were deferred as there were no “hot” items in the reports.